A new technology and service appear practically every day. Many are in the field of communications. Each of the new introductions makes it easier for businesses to send and receive messages in various forms whenever they want and wherever they are. Besides facilitating easier and faster communications, they also contribute a lot to reducing the cost of business communications. This helps level the playing the field with smaller companies and starting businesses giving them the opportunity to expand their market base in the same way the bigger companies can. • Wi-Fi technology enables wireless connection of computers and mobile gadgets to the Internet. This allows businessmen with Wi-Fi equipped PCs and mobile phones to go online in places where the Internet signal is available, and communicate with their offices and clients. The latest digital cameras allow direct uploading of videos and photos to social networking sites that are increasingly getting used for marketing. • Bluetooth was introduced for commercial use in 2000. Like Wi-Fi, it uses wireless technology. With a Bluetooth wireless headset; there is no need for anyone to hold their phones while talking to somebody. Businessmen who have to double task can talk with clients even while driving. Bluetooth functionality improved over the years, and these days it can access the Internet by pairing a third generation mobile phone with a PC. • The Voice over Internet protocol or VoIP technology existed since the middle part of the 1990’s. It enables conversations to be transmitted over the Internet. Skype which is one of the most popular options for international calling uses this innovative technology. 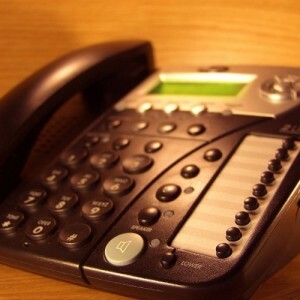 Inexpensive and efficient, the technology has drastically reduced the cost of business communications. • Smart phones are not new. They have been around since 1992. It is only recently though that they got the multi-media and third party downloading capabilities that make them very effective tools of communication. The most advanced smart phones can play music, receive and send pictures, audio and video, and access the Internet. These are the gadgets that businessmen on business trips will find useful. Through these gadgets, they are always connected to home offices and customers. • The first social networking sites appeared in the 1980’s. The most popular these days – Pinterest, MySpace, Twitter, Facebook – were launched in 2004 or later. LinkedIn, a networking site for professionals, was launched in 2003. Facebook, with 750 million visitors monthly, besides being a venue for connecting with friends through text, videos and images, is a major venue for introducing and promoting new products. • YouTube is a video-sharing site initiated in 2005. It allows users to share their videos with other people around the world. In the past users were mostly individuals. Today even corporations are using it to advertise products and services. Shooting videos to upload to YouTube is very inexpensive and coupled with its worldwide reach; YouTube is now considered one of the best places to advertise products. YouTube marketing is definitely less expensive than print and Television advertising. This brings a lot of benefits to small companies with limited marketing budgets. • Really Simple Syndication (RSS) technology first appeared in 1999. This technology continuously gathers fresh information from various Internet sources. The collected information is made available to people through RSS feeds that can be accessed by clicking a button on a webpage. RSS is an effective tool for driving traffic to business websites. It ensures consumers are constantly updated on the product of companies. There is no need for consumers to visit the sites to get updates. Technology is advancing all the time. If the trend keeps up business communication is bound to become even easier and cheaper than it is today.